Welcome to SMC Premier Cleaning. A One Stop Industrial Cleaning Solutions Provider. SMC Premier Cleaning is a leader in its field, we are one of the most innovative and forward thinking Cleaning companies in our industry. SMC Premier Cleaning’s continued success is based on the simplistic values: delivering quality, client service and value for money. Do you own an industrial property such as a factory or manufacturing plant in the North West? At SMC Premier, we understand how difficult it can be to not only find a contract cleaning service with a team that are qualified to work in hazardous environments, but to find a team that can provide the same high quality results every time. We have the staff with the extensive experience required to safely carry out contracted cleaning services for industrial businesses of all sizes. From operating around working factories and providing health and safety assessments, to caretaking and managed cleaning services for manufacturing plants, if you require a cleaning service in the North West for your specific business, we have the team to get the job done. Get in touch with the team today on 0161 282 6444 or get the conversation started with a message outlining your exact cleaning needs. SMC Premier is a privately owned company, with years of experience in cleaning hazardous and industrial working environments. We understand that our staff are what keeps the business driving forward, and as a business we take the time to both invest in our staff, and hire only the very best cleaners with specific experience for the services we provide to ensure our customers get the highest quality cleans, every time. 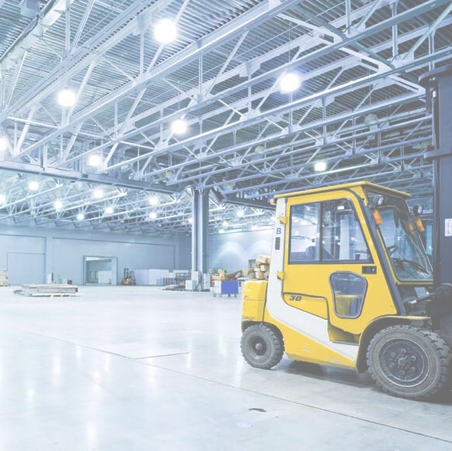 Cleaning within an industrial environment requires a different set of skills and abilities to the office environments which are the staple fare for most contract cleaning companies. Heavy duty machinery and specialist equipment may feature strongly, and extensive training is often required to ensure safe working practices within hazardous environments. Read more about our specific cleaning solutions for factories. SMC Premier’s industrial & manufacturing cleaning team are familiar with working in many different premises, ranging from engineering works, through distribution centres and food manufacturing plants, to pharmaceutical and clean room environments. This experience allows us to call on a wealth of knowledge, available in-house, to undertake a wide range of cleaning tasks within technically demanding areas. This experience means our operational management and health & safety systems are highly developed and well able to deliver the most stringent of hygiene & cleaning requirements, whatever the constraints. We understand the commercial realities; cleaning services, whilst vital, still have to fit around the production or distribution schedules. Our management team will work with you to ensure the optimum cleaning results are achieved without causing any disruption to your own processes. Cleaning within an industrial environment requires a different set of skills and abilities to the office environments which are the staple fare for most contract cleaning companies. Heavy duty machinery and specialist equipment may feature strongly, and extensive training is often required to ensure safe working practices within hazardous environments. All of our sites undergo monthly cleaning audits to ensure the highest quality of is being consistently delivered.